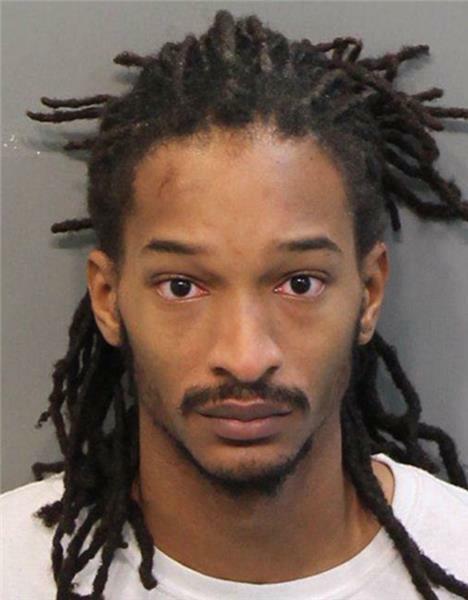 Johnthony Walker was sentenced to four years in state prison on Tuesday in connection with a school bus crash that claimed six lives and injured 22 other Woodmore Elementary students. Judge Don Poole declined to run any of the sentences consecutively, while finding that the 25-year- old Walker was not a "dangerous offender." Walker has already served almost a year of the sentence and, because he has no prior criminal record, he is eligible for parole consideration after serving 30 percent of the term. The judge allowed Walker to remain free on bond pending a motion for a new trial. Judge Poole said, "It's ungaugeable the pain, suffering and despair that many in this courtroom feel, but still we must look to what the law says." He said he took into account the fact that Walker had been seeing speeding in the bus previously and the horror of the accident itself. District Attorney Neal Pinkston had asked for active prison time and for some of the sentences to be consecutive. Defense attorney Amanda Dunn asked for diversion or for an alternative sentence, saying Walker was not a dangerous offender. She said the testimony was that when Walker was driving on Talley Road in Brainerd on Nov. 21, 2016, a white bus came into his lane and had to swerve to the right. She did admit he was going faster than the speed limit. Walker told the court, "I didn't wake up intending for this to happen. It is something I will have to deal with for the rest of my life - whether in prison or not." He said, "I can only imagine the hurt these families feel. I just want to apologize for taking the lights out of your lives. I just want to say I'm sorry." Walker was initially charged with 34 counts, but he went to trial on 33 charges before a jury from Montgomery County after one was dismissed. The jury did not convict him on the most serious charges of vehicular homicide. He was found guilty of six counts of criminally negligent homicide, seven counts of reckless aggravated assault, six counts of assault, felony reckless endangerment, reckless driving, and using a cell phone while driving a school bus. He faced 1-2 years on each count of criminally negligent homicide, 2-4 years on each count of reckless aggravated assault, 11 months and 29 days for assault, 1-2 years for felony reckless endangerment, six months for reckless driving, and 30 days for using a cell phone while driving a school bus. Judge Poole sentenced him to two years on each count of criminally negligent homicide, four years on each count of reckless aggravated assault, 11 months and 29 days for assault, two years for felony reckless endangerment, six months for reckless driving, and 30 days for using a cell phone while driving a school bus. A former supervisor for Walker when he worked for a cleaning service called him "a very nice young man, a respectful young man." She said he was a hard worker who pitched in on jobs that were not part of his assignment. She said he got to and from work on a skateboard. She said he once wrecked and had a deep cut on his hand, but he still finished his work day. Misti Nash, who lost a daughter in the wreck and had a son who lost an arm, took the witness stand for Walker, saying she forgave him. She said, "I figure you are nothing but a child." She stated, "I speed and I talk on the cell phone when other peoples' children are in my car." Ms. Nash said, "I remember seeing your face after the wreck - how hysterical you were. I know you did not try to harm these kids at all. My heart goes out to you. You can write me and I'd love to come see you." Other parents in the courtroom did not share those sentiments, and several were ejected when they spoke out while attorney Dunn was giving her argument. 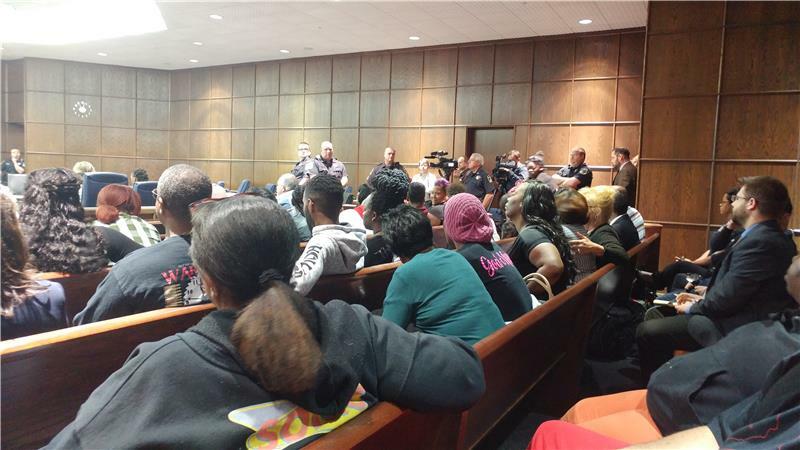 Some parents got into verbal altercations inside the court while the judge was off the bench and out in the hall as nine court officers tried to keep order.